As a photographer, you are not going to be the right fit for every photography need on the planet or for that matter, even your areas of expertise. It's important to ask questions about why you were not selected for a project and learn from the experience. However, if you keep focusing on opportunity lost, you may not see the HUGE opportunity right in front of you. 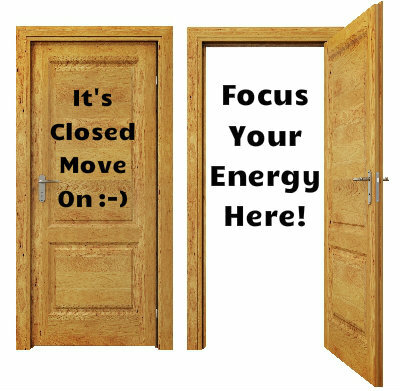 There are numerous reasons why doors close on opportunity. If you happen to be consistently getting rejected because of quality, that is a much larger issue than price. You should take action and get your quality under control. However, on the price side, photography is all over the board. New photographers often price their services low to get business or to stay busier (in their mind) while not realizing how it hurts both them and the photography industry to price themselves way below fair market value. The reality of pricing is that there are markets for numerous price points. If the door closes because you are higher than the other photographer that quoted on the same project, you should simply assess the reality of it all, ask if it is worth lowering your prices next time (probably not) and move on because while you are focusing on the rejection of a $50 project, a $500 one might be right in front of you or losing a $500 project when a $5,000 one is right in front of you. Even in the digital age, the business is out there for photographers at a fair market price for quality work. Doors open and close all the time in the business world. That's why it's key to keep things going all the time and make sure you are actively working all leads in your pipeline. Whatever you do, don't let being the lowest price in town be your motivation to attempt to keep doors open because that is NOT always the solution. Potential clients that truly care about more than price are also looking at quality, experience, you as a person as well as a photographer and more. Moral: Take Note, Learn, Adjust If Needed, Move On! - You'll often be glad you did.